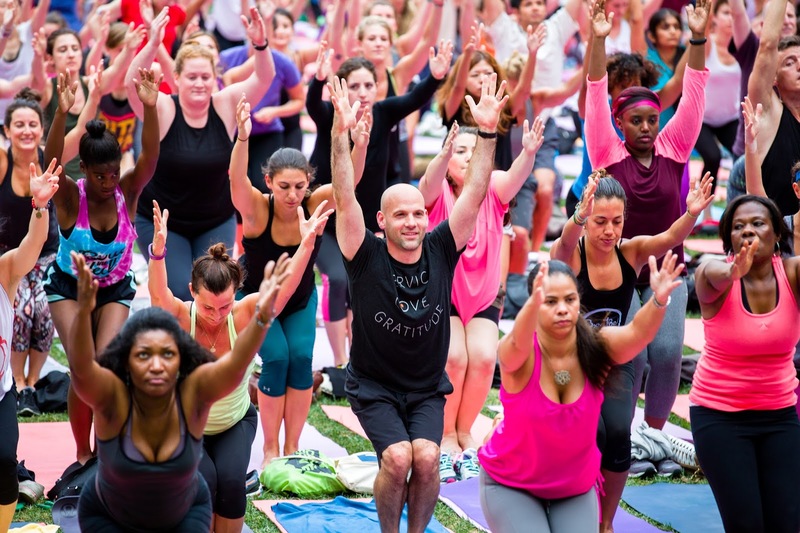 The Bryant Park lawn is open for the season, which means the beginning of the Bryant Park Yoga season is not far behind. Downward dogs, chair, and tree poses (which you could argue are in the park year-round because of our consistent pooch, bistro chair, and London Plane tree populations) return on May 17. This year, earning rewards with your Frequent Yogi card is easier than ever. See below for rewards from our presenting sponsor, Athleta, and our teaching partner, Yoga Journal. Chair poses take over the park starting on Tuesday, May 17. The final change for this year is that registration will be hosted on Eventbrite. Register now while you're thinking about it! As in previous years, we're cooking up some special themes for select yoga classes, so check our website and social media frequently to be the first to know.